Apply for Financing from the Nordic Angel Program by EstBAN! 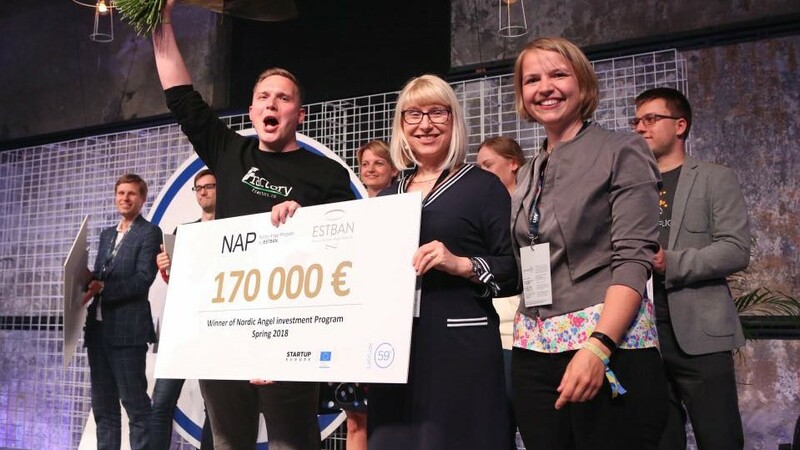 Do you want to become the next best Estonian Startup for 2018? > Receive an investment of up to €250 000 for developing your business! > Increase the visibility of your startup to domestic and foreign investors by being listed among the best of early-stage startups in Estonia! > Pitch on-stage at sTARTUp Day in Tartu, Estonia in front of nearly 4000 people! > Get the attention on an international scale – get business angels from the Nordics to invest in your company and widen your potential market! > Get professional pitch and presentation training from industry experts at the “Pitch Hack” training program in cooperation with Spring Hub! The program culminates on the stage of sTARTUp Day on the 25th of January 2019, where a joint investment of up to €250k will be given to a chosen startup. The deadline for the application is on October 31st.